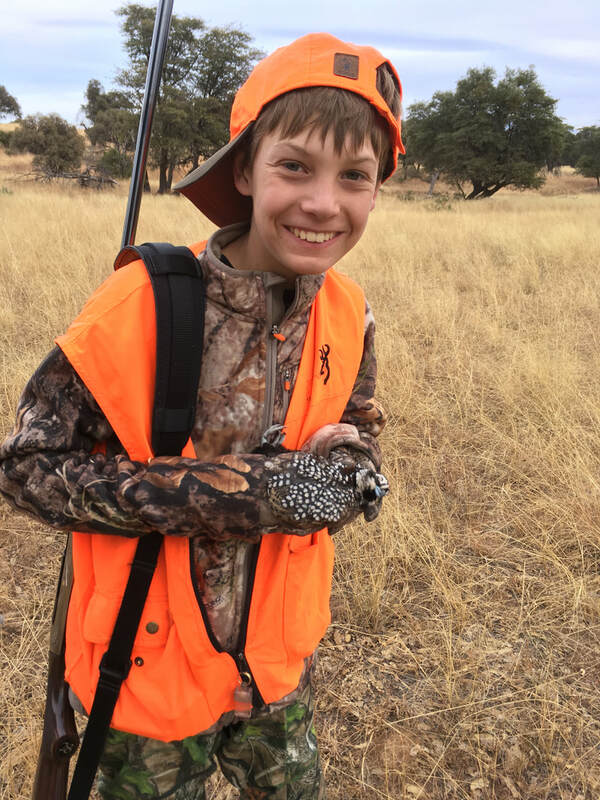 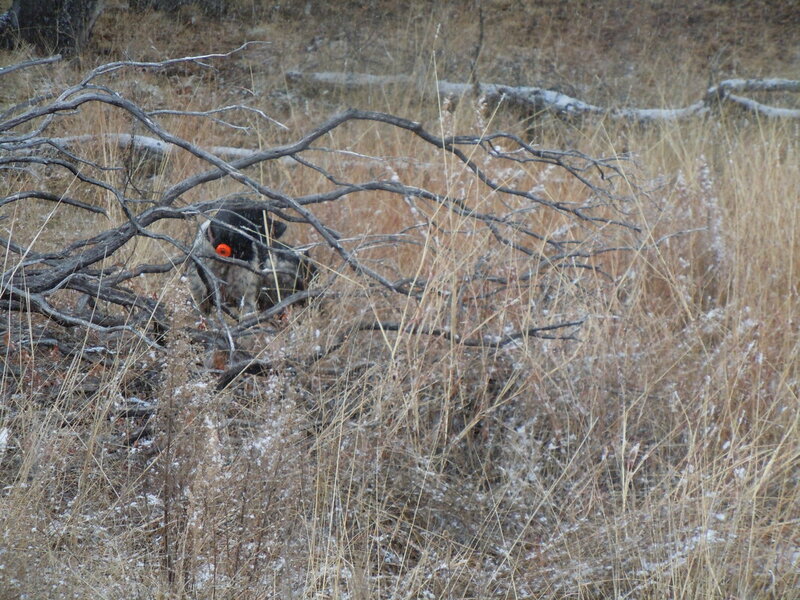 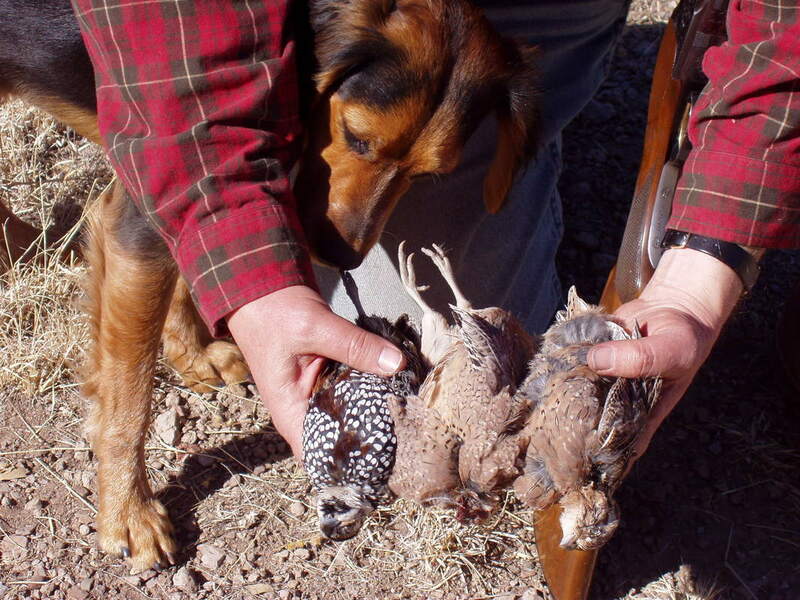 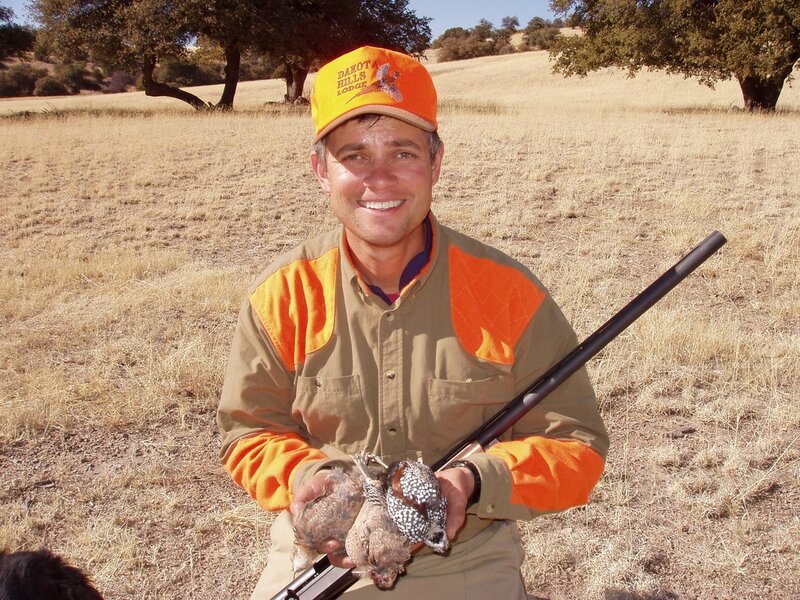 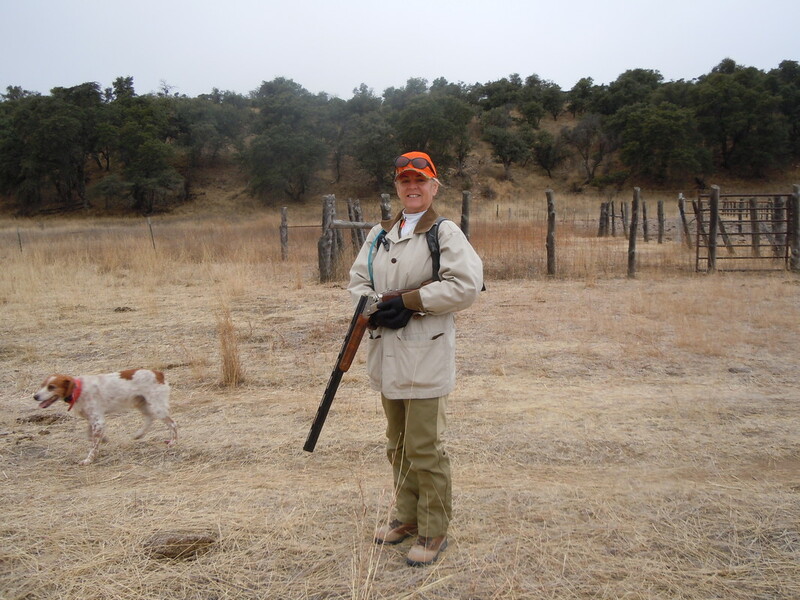 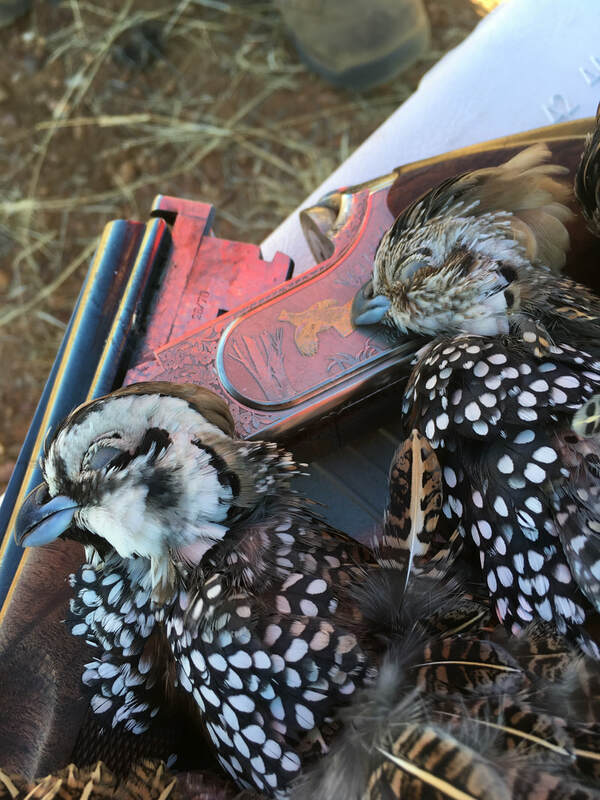 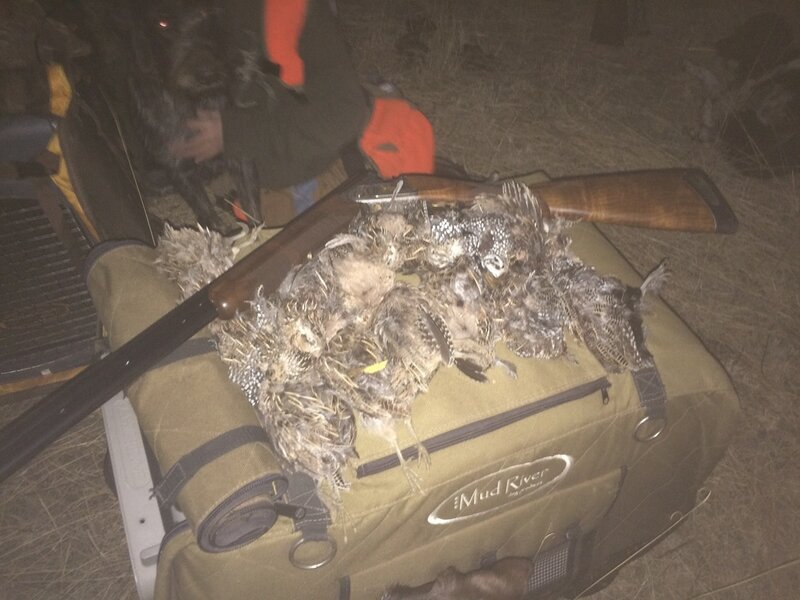 My nephew Garrett's first Mearns Quail and a nice male to boot. 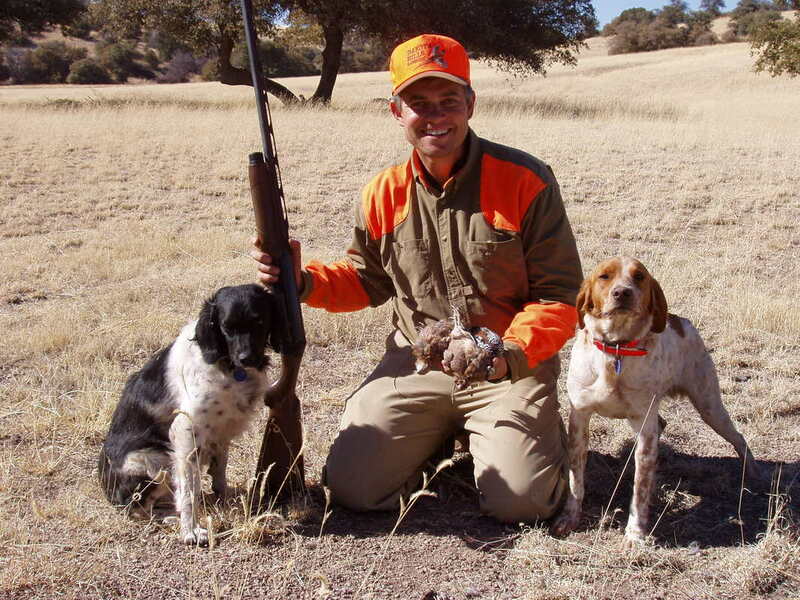 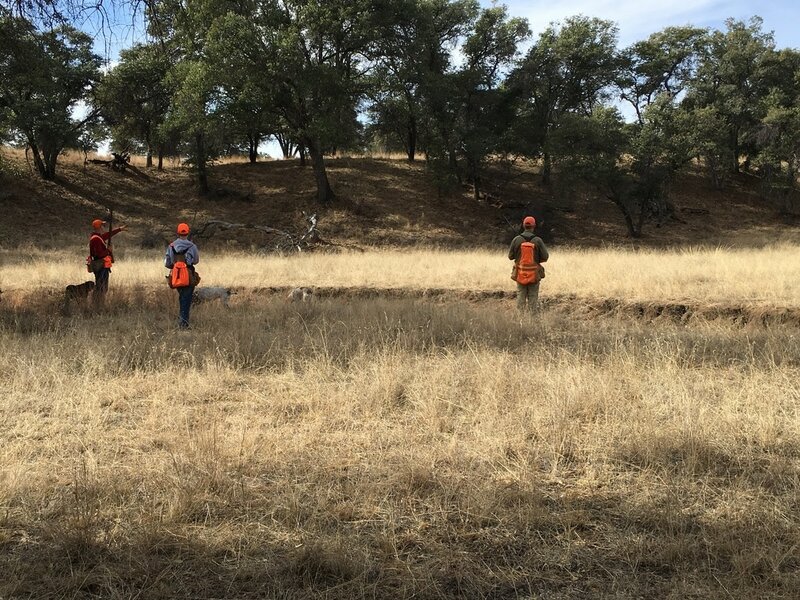 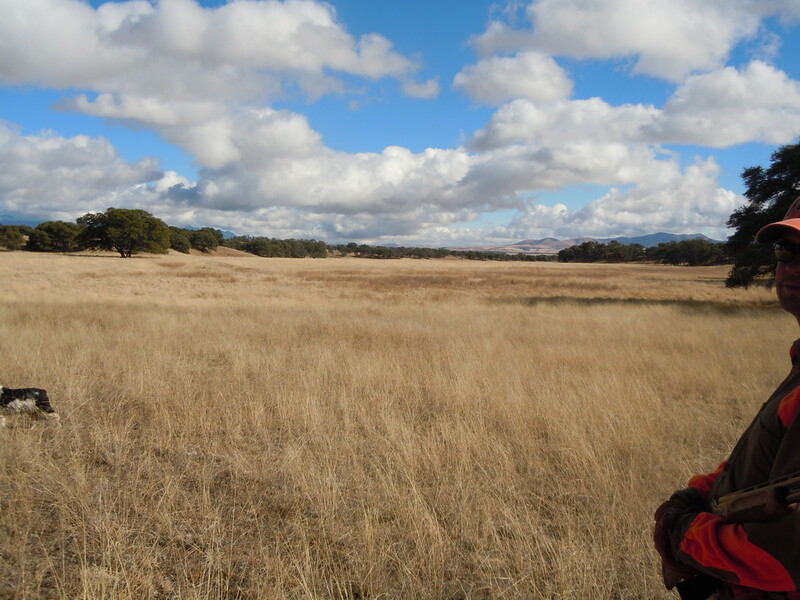 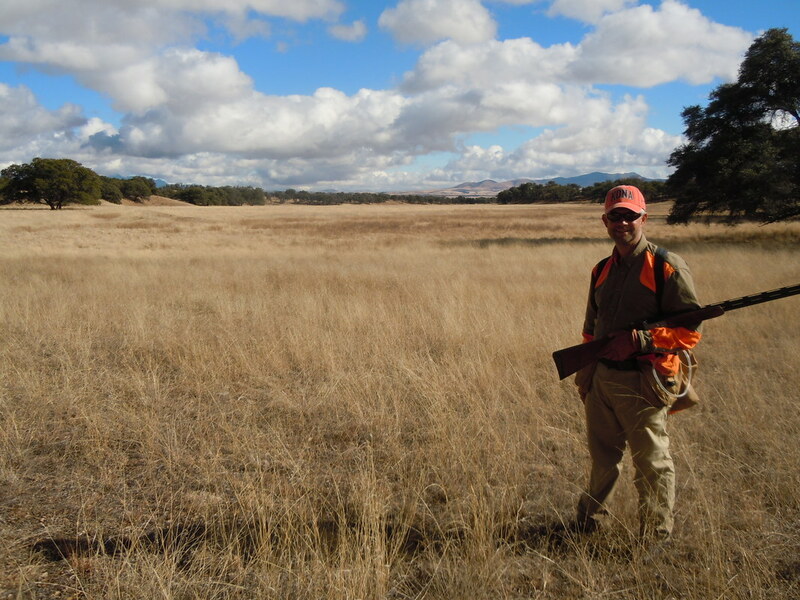 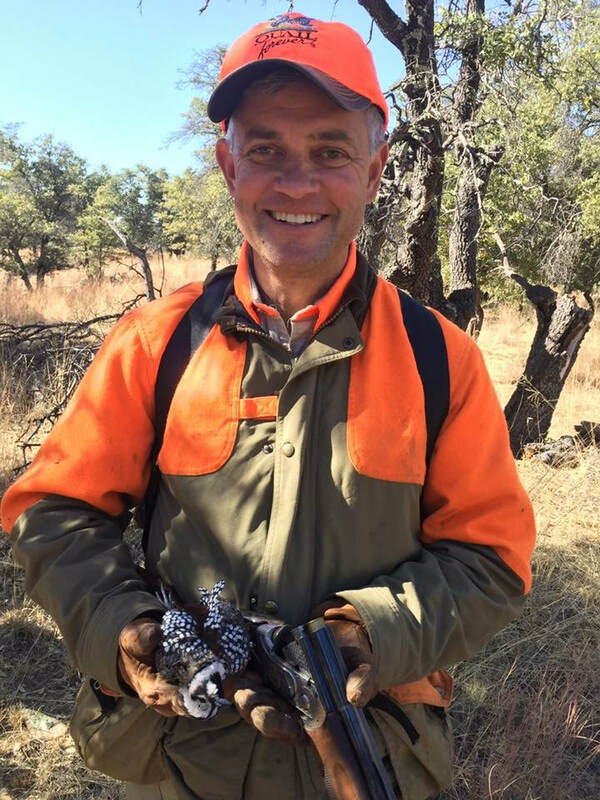 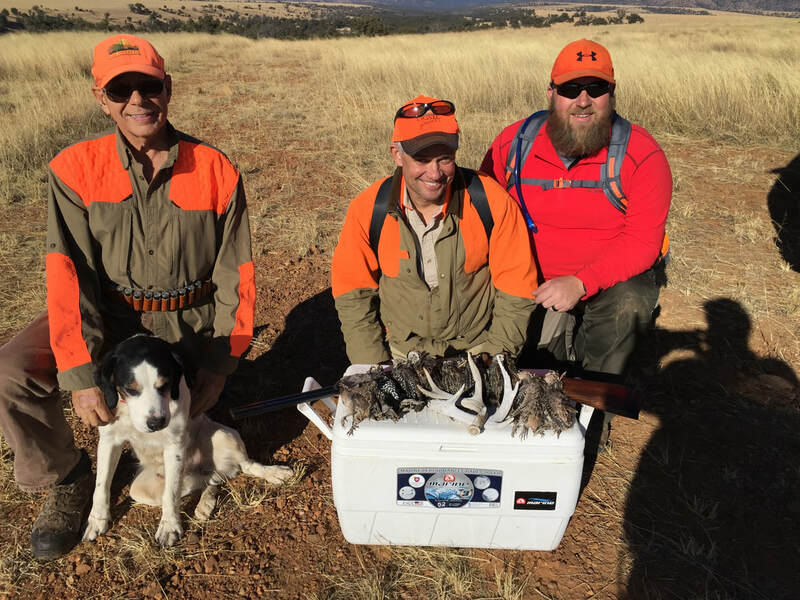 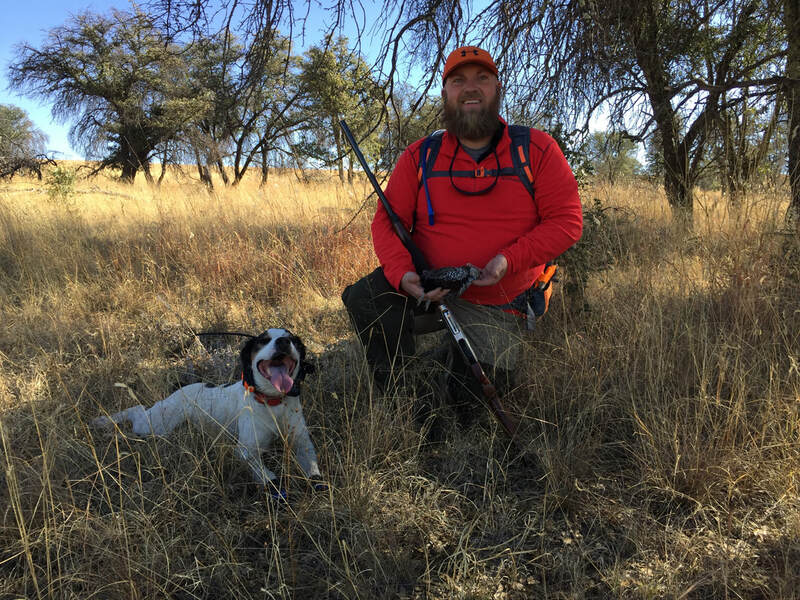 Jimmy Cassara with Maverick (a French Brittany bird finding machine), Chip Hidinger, Josh Legg and a nice group of Mearns Quail. 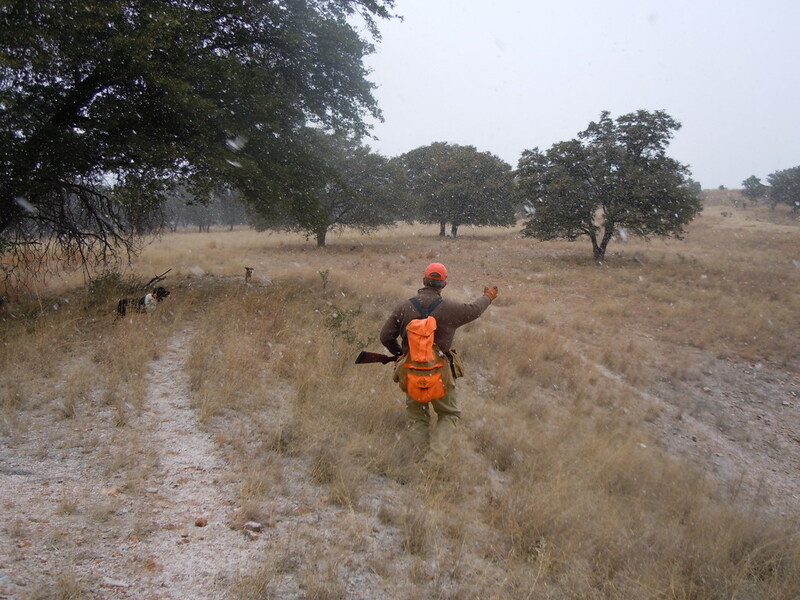 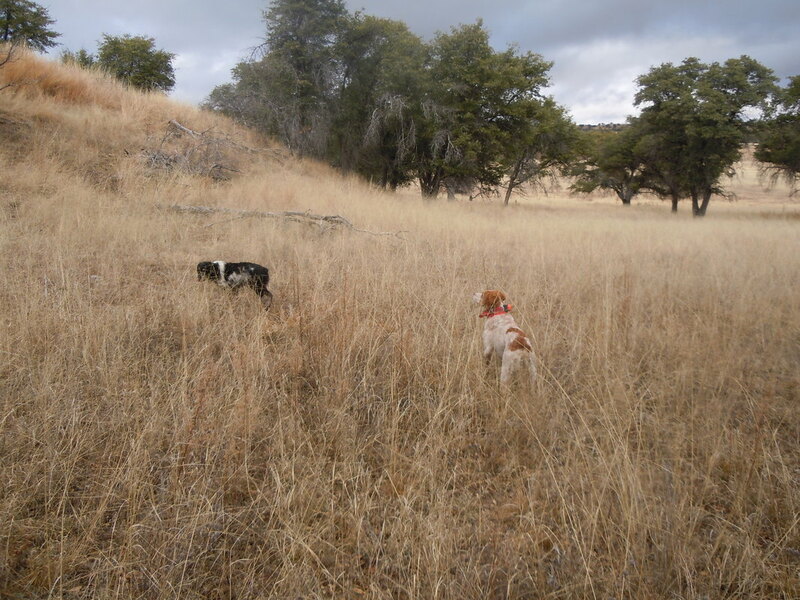 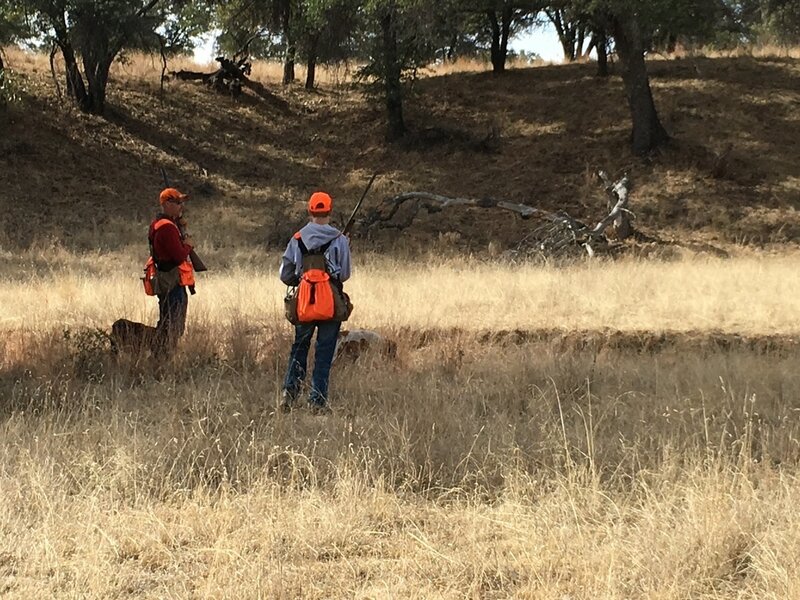 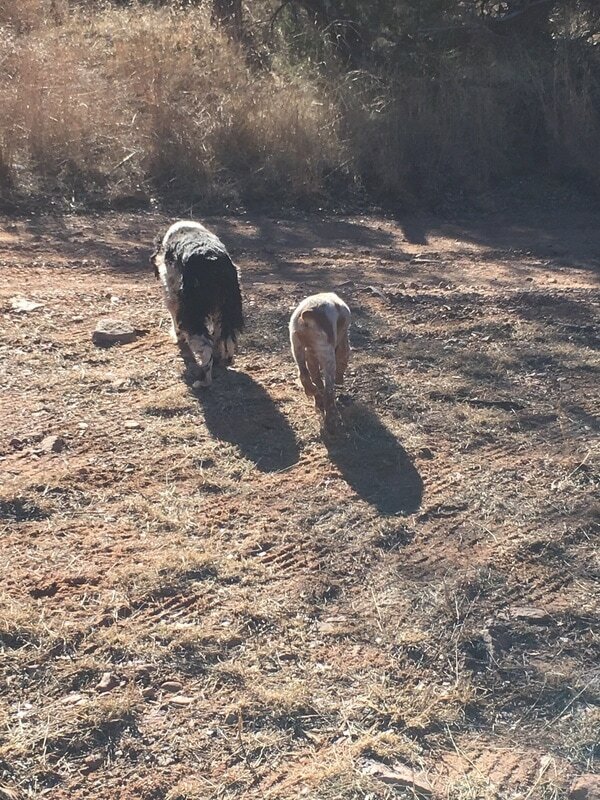 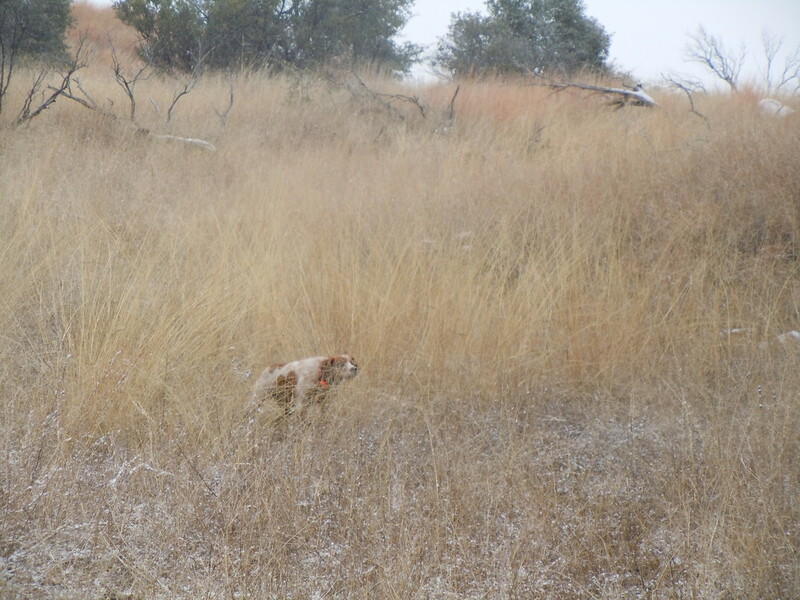 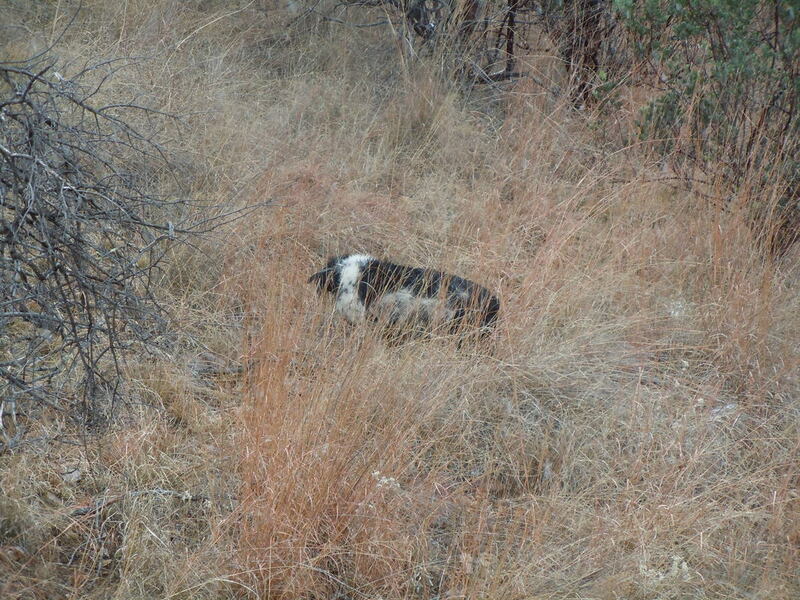 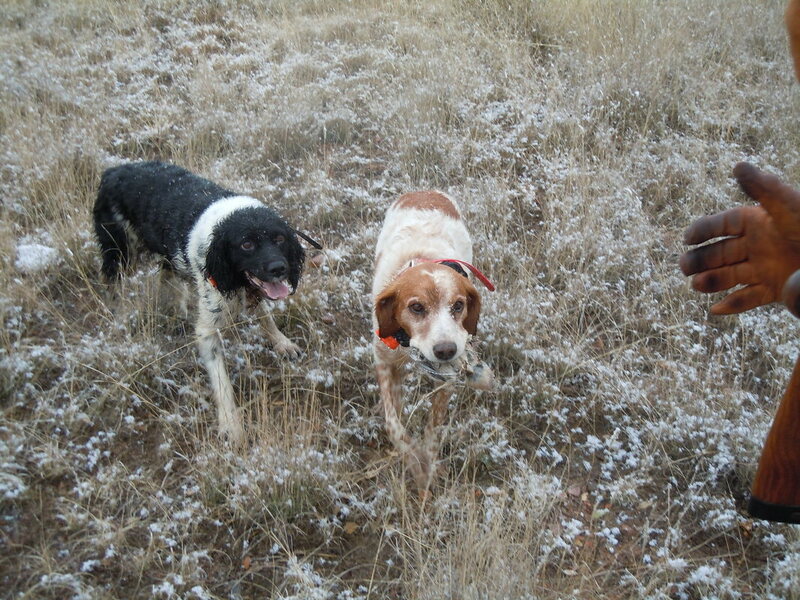 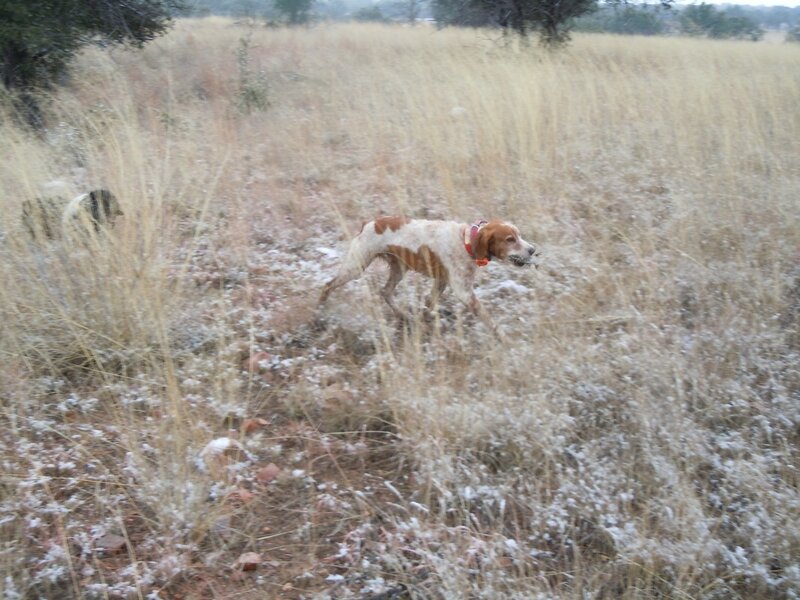 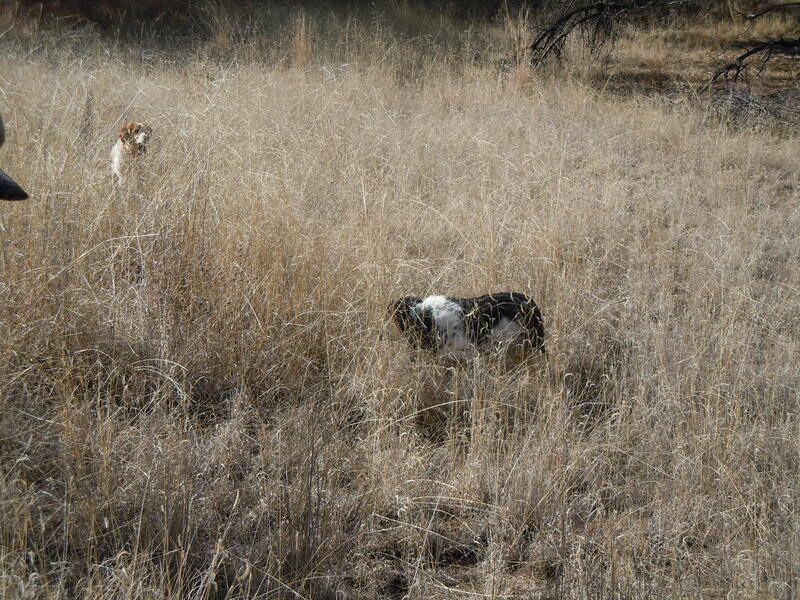 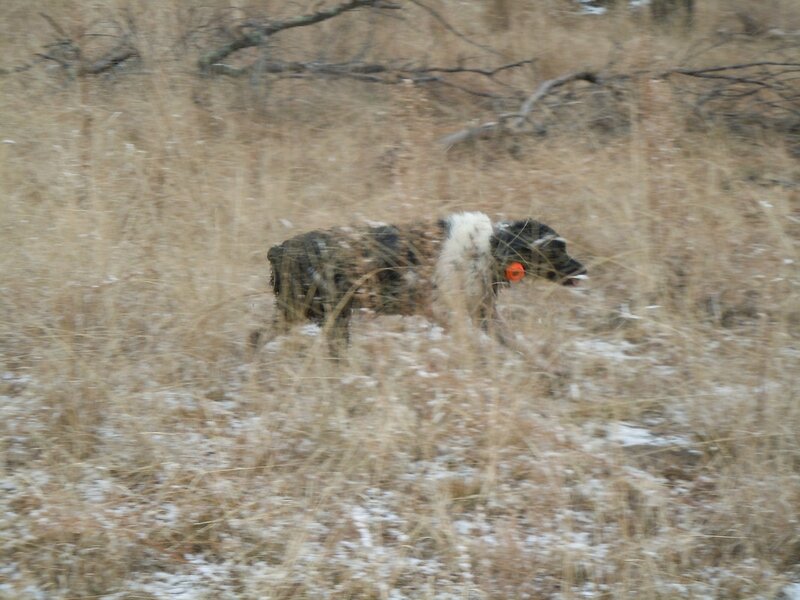 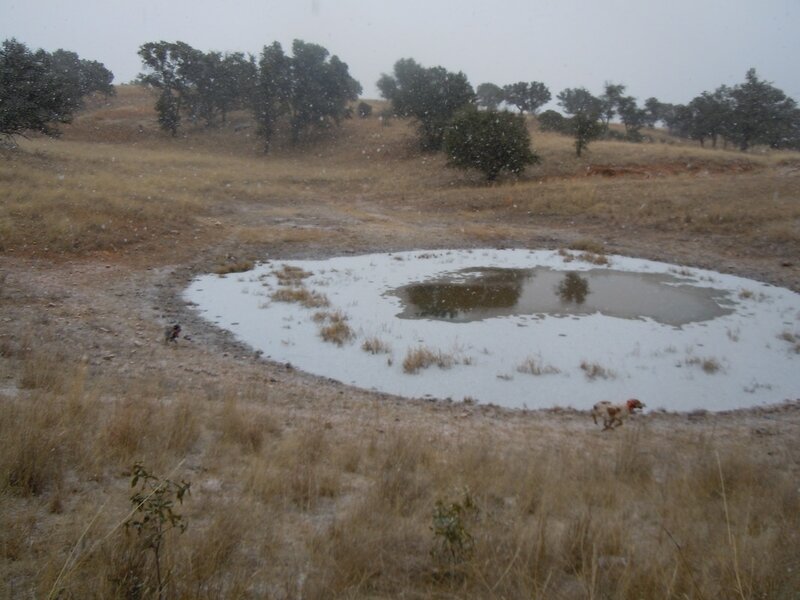 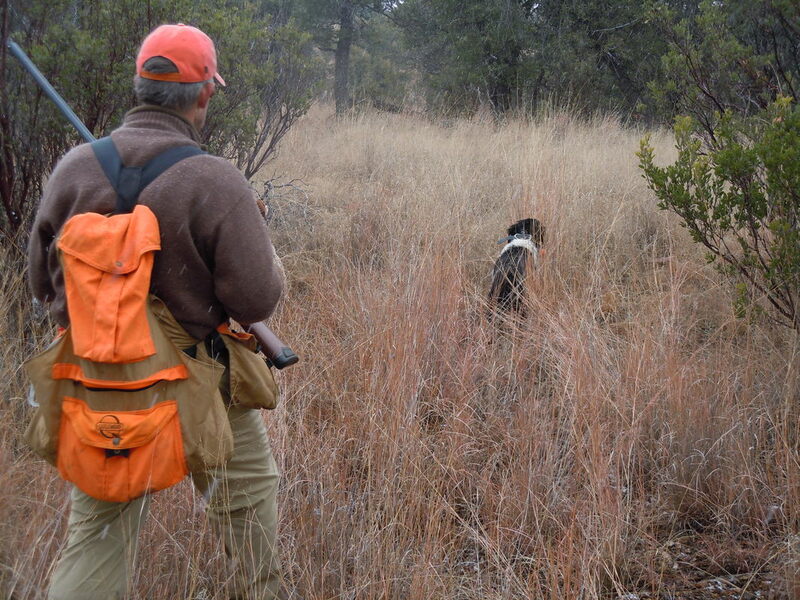 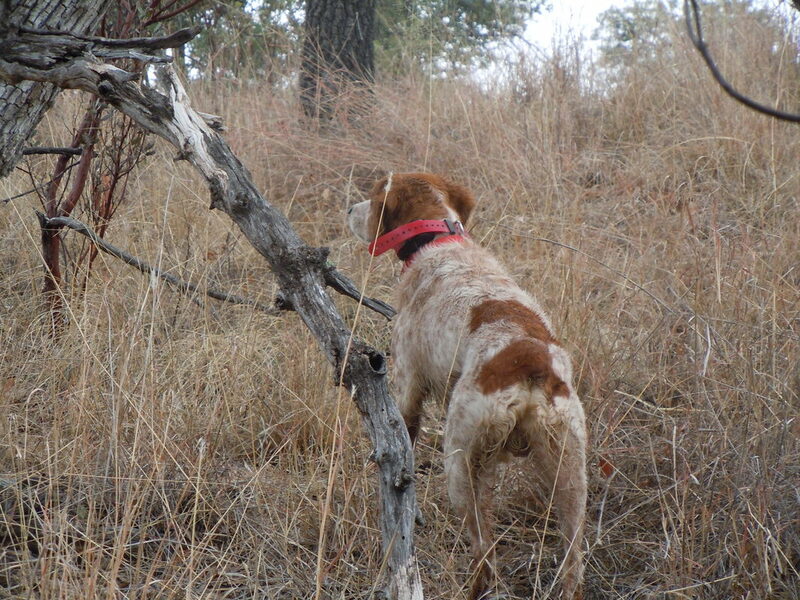 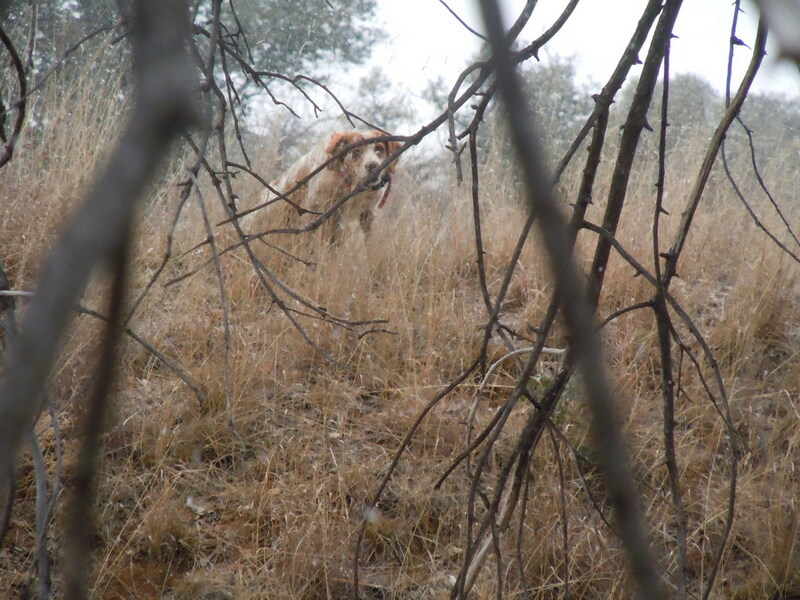 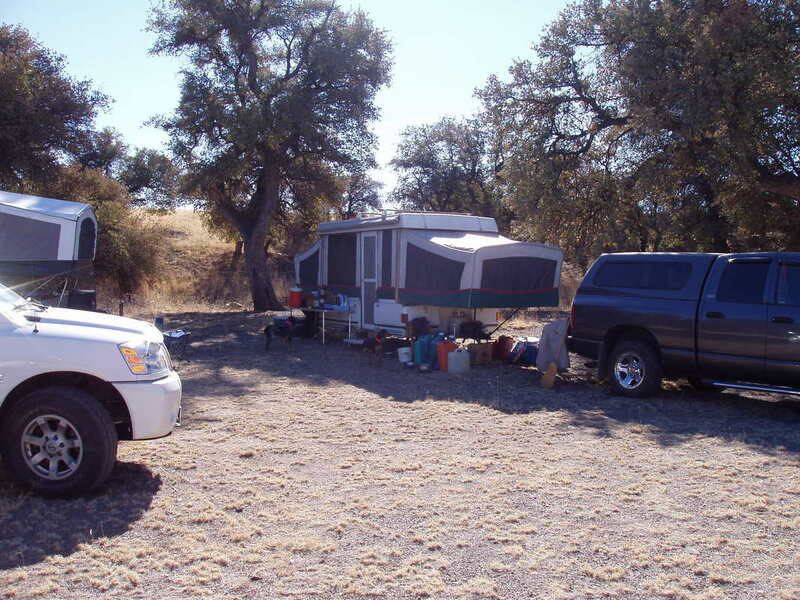 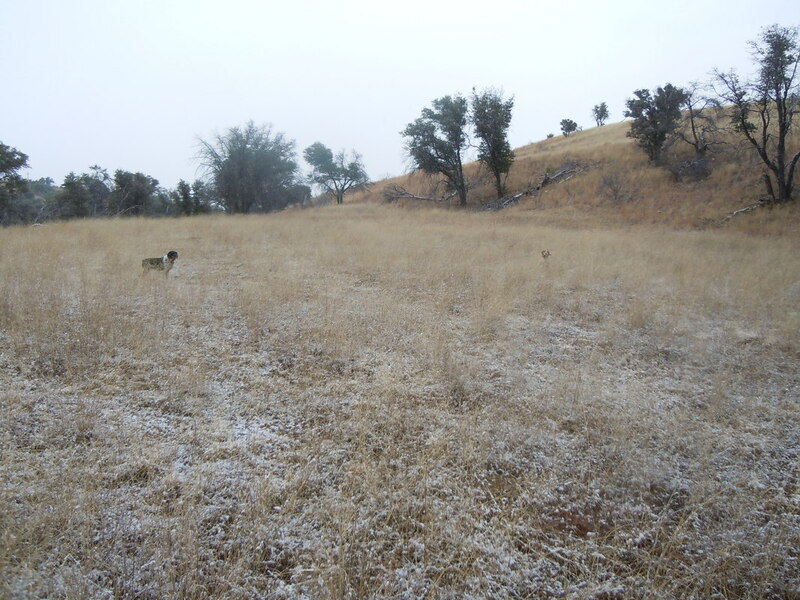 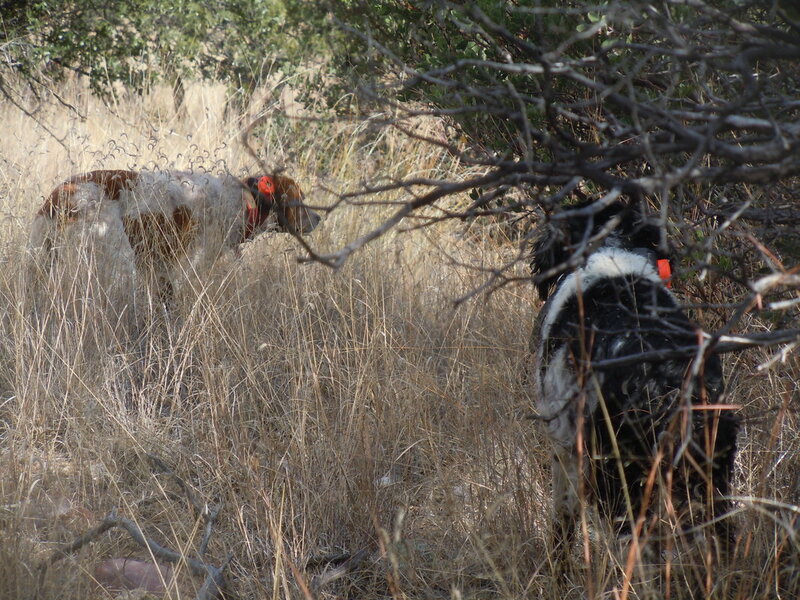 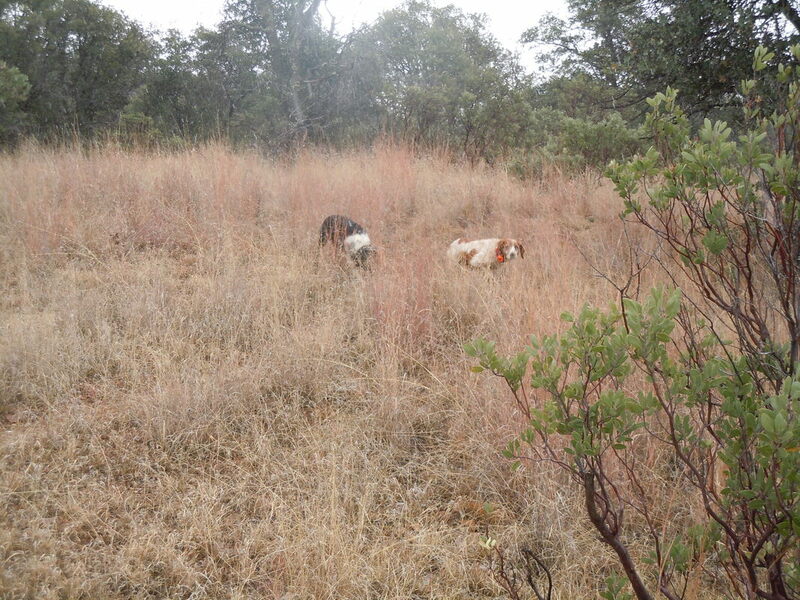 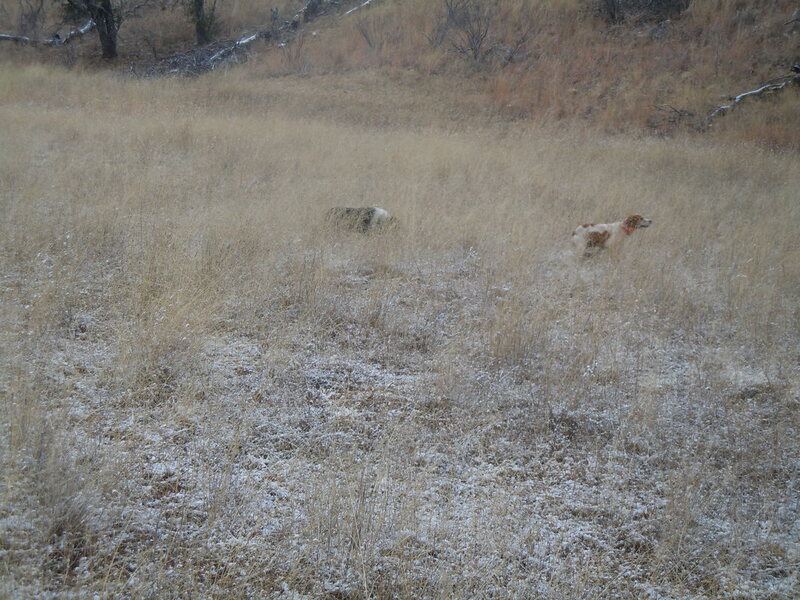 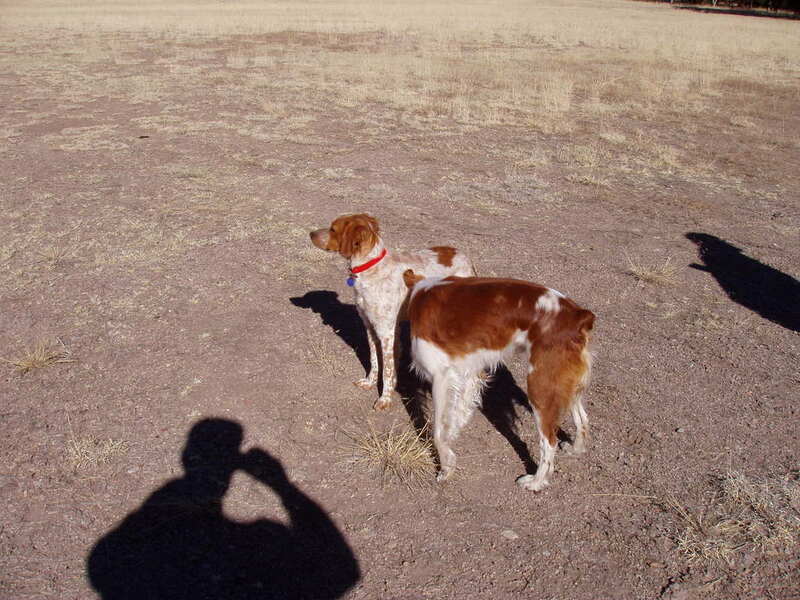 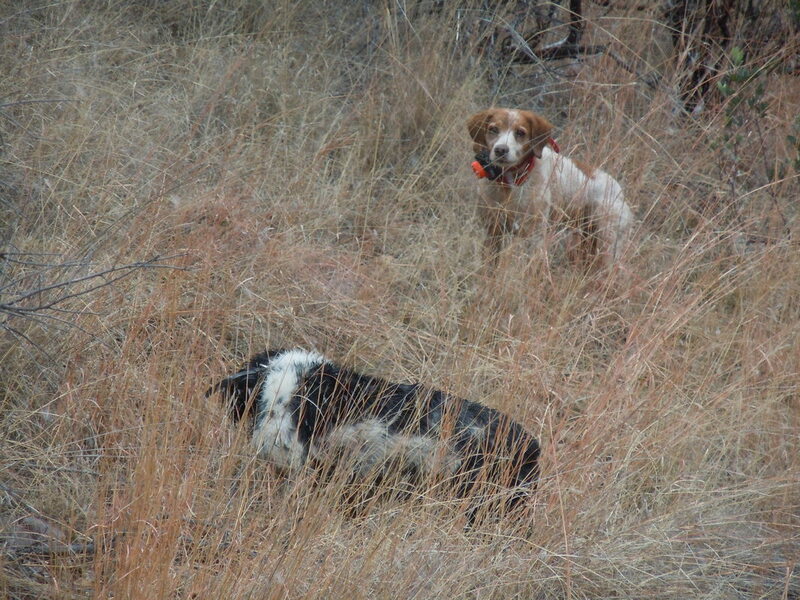 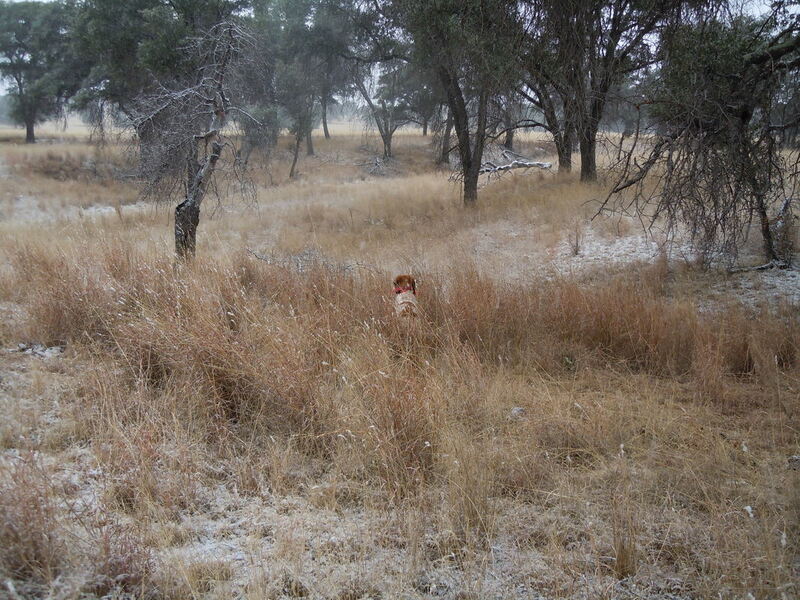 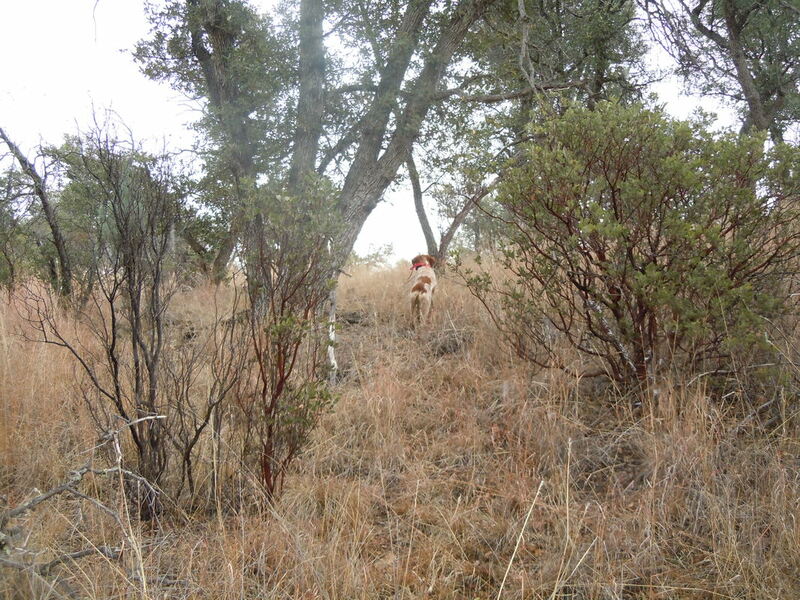 Don Rice, Jimmy Cassara (white dog Maverick) and Chip planning the first Mearns hunt of the day. 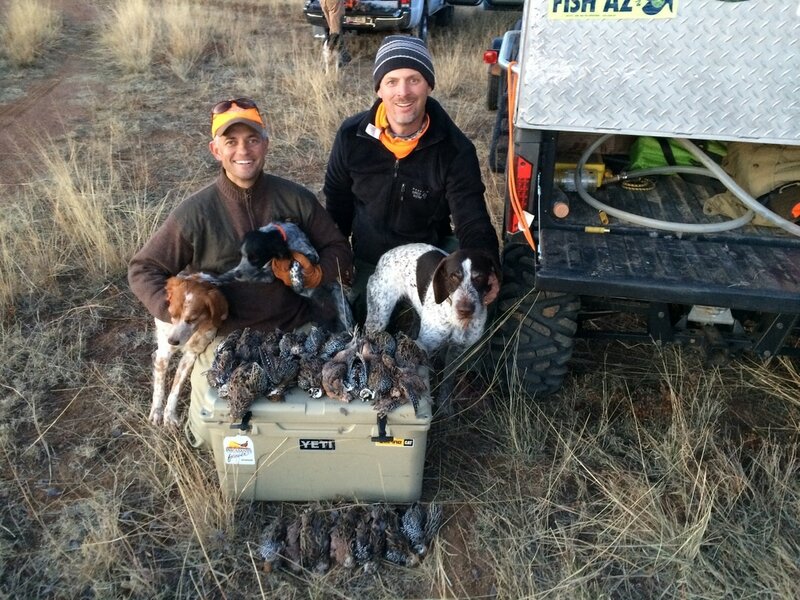 Maverick and Josh Legg with his first Mearns Quail. 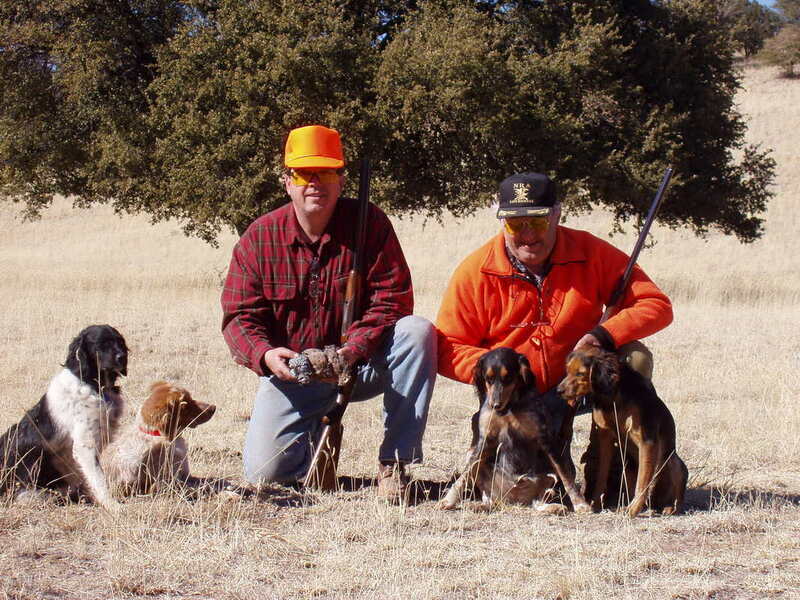 Josh Legg, Don and Andy Rice new friends made fast over French Brittany's. 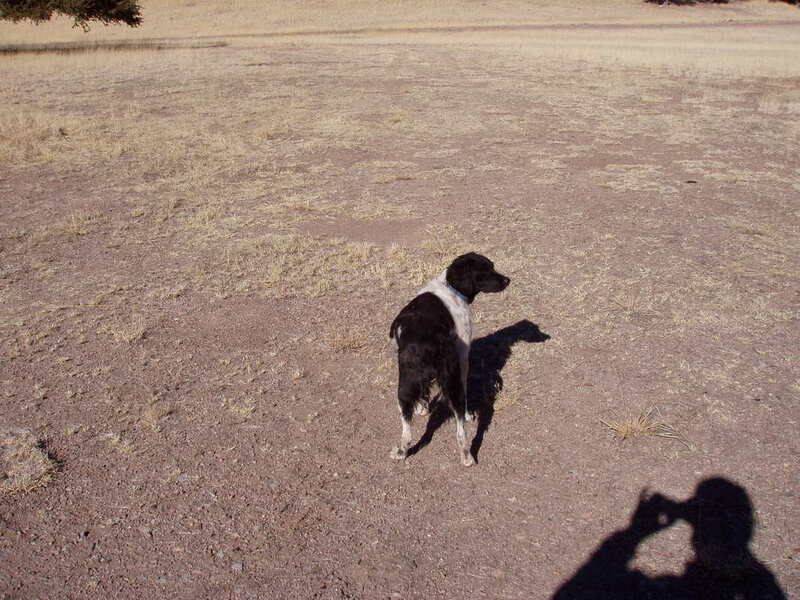 BTW, Andy is a great shot. 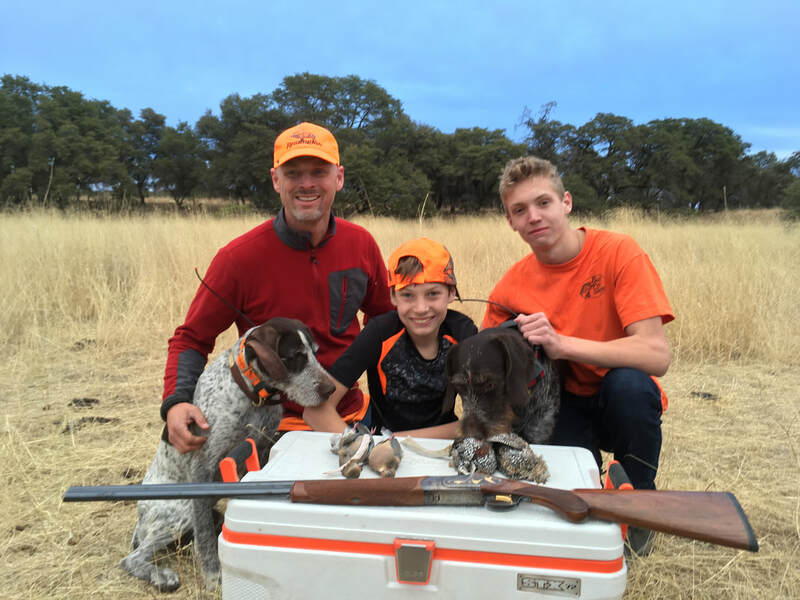 #1 My nephew Garrett Hidinger with Storm and Stella. 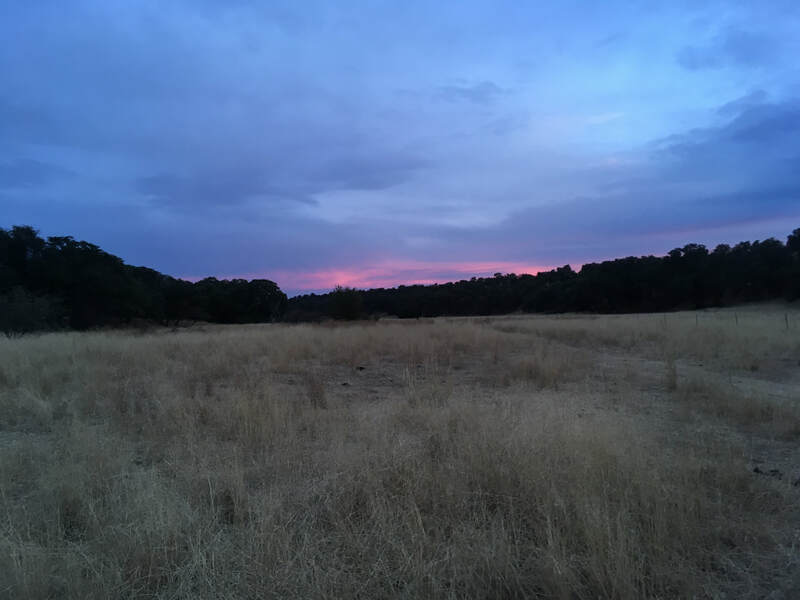 A beautiful Arizona Mearns sunset and it rained that night for the first time in 93 days. 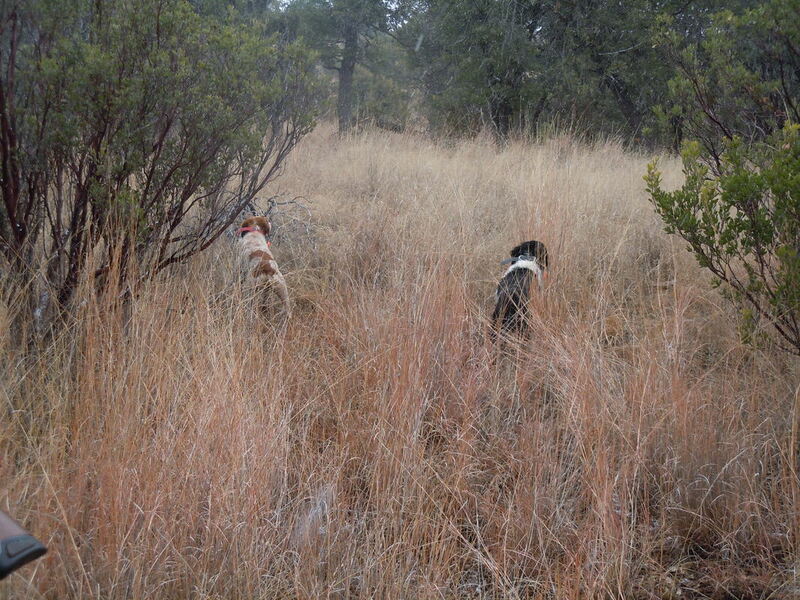 Up on top discussing what valley were going to drop into and how were going to hunt it. 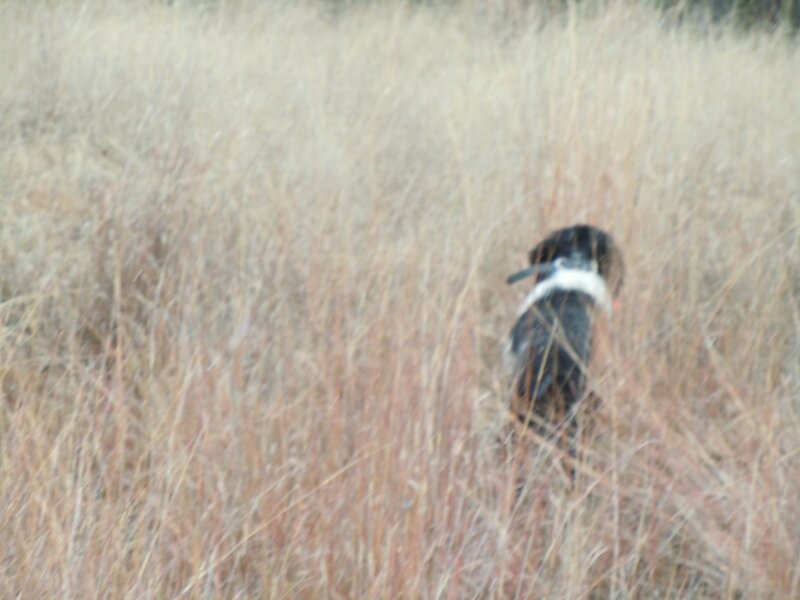 Chip and TJ talking and TJ's son Jackson catching his breath. 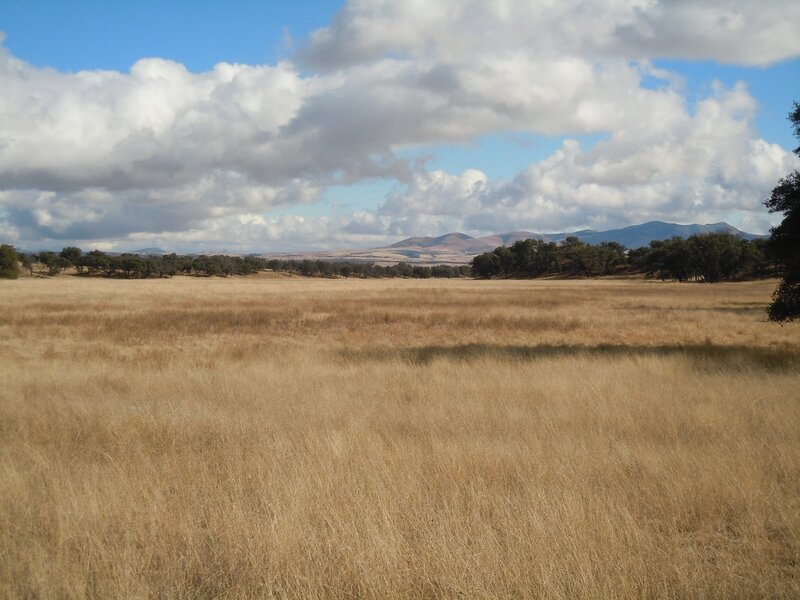 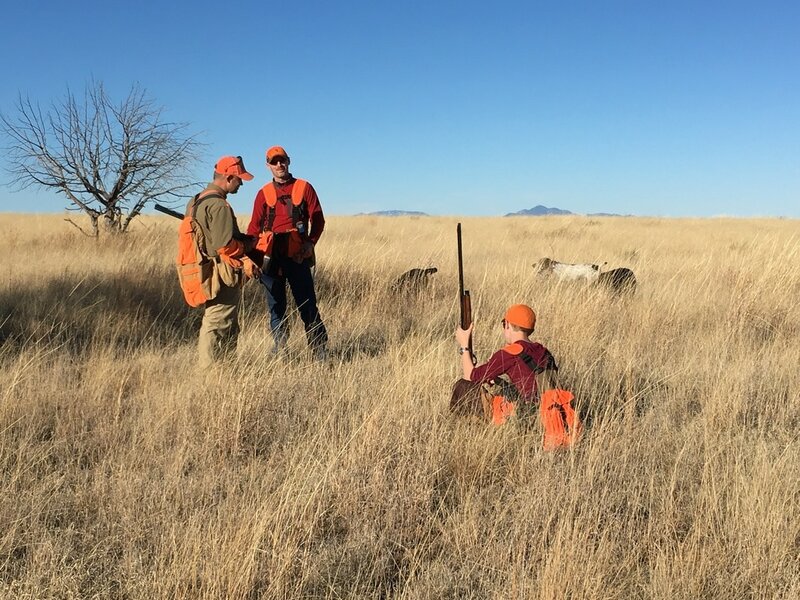 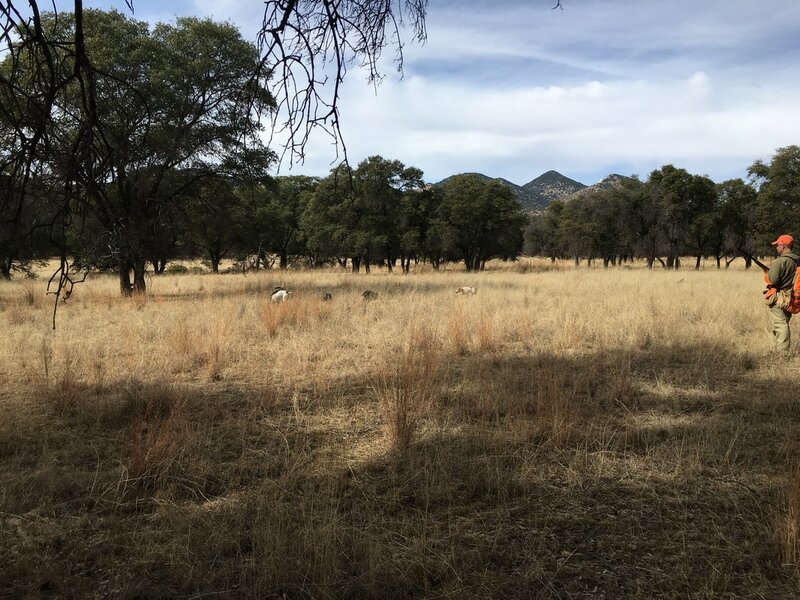 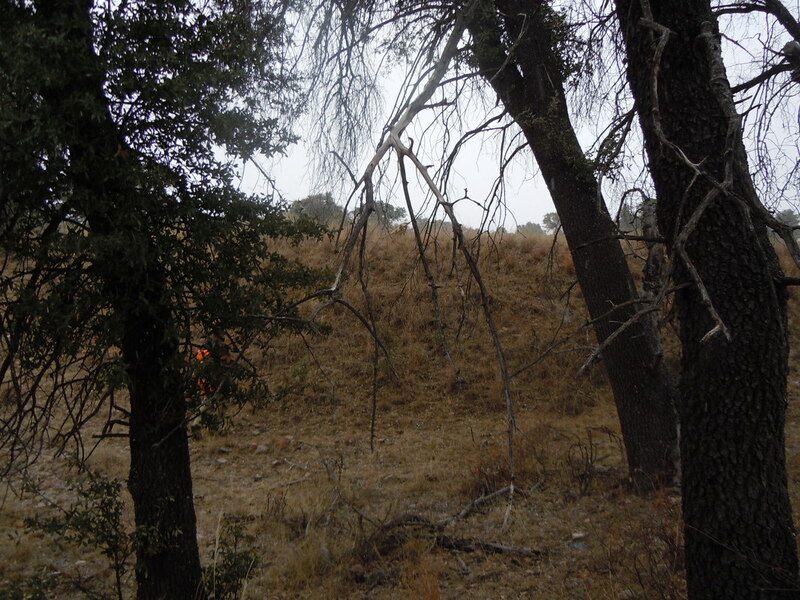 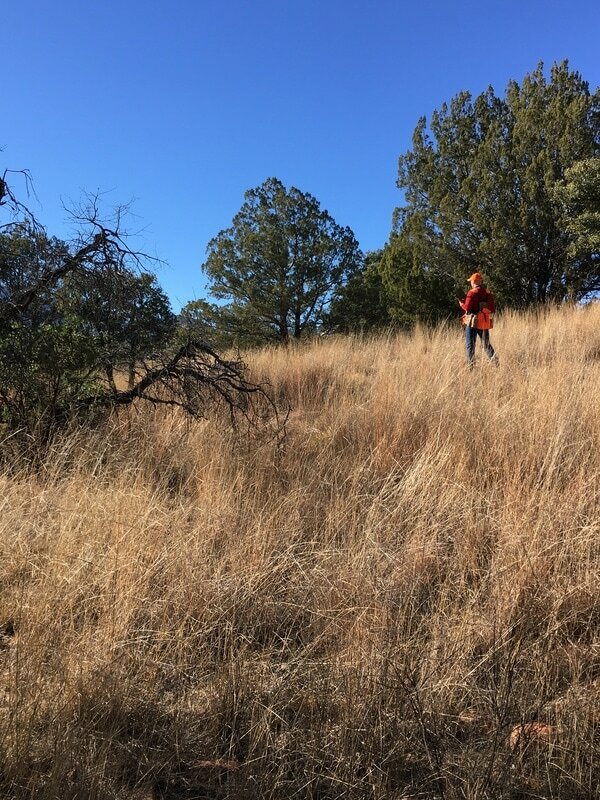 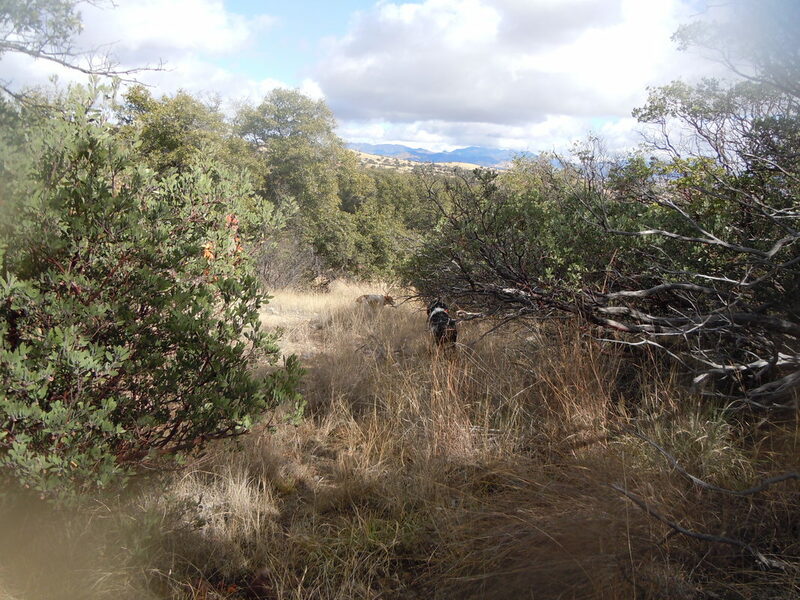 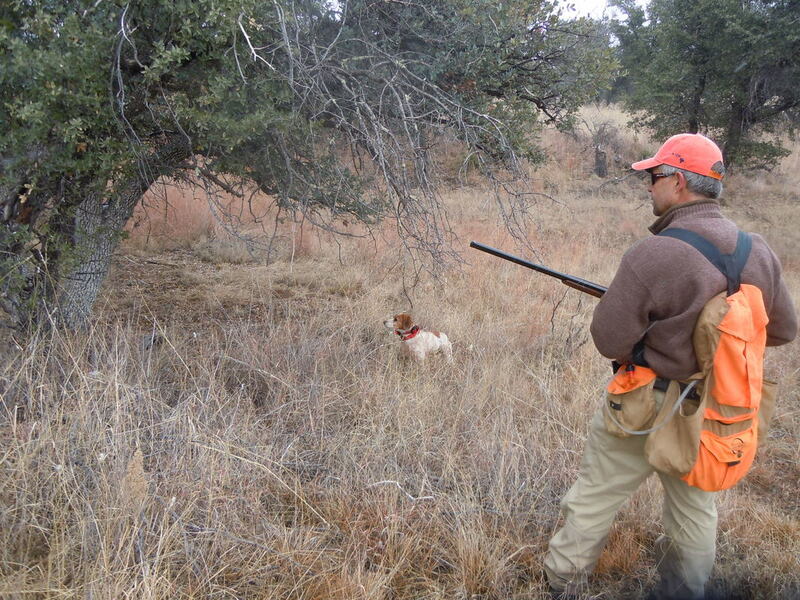 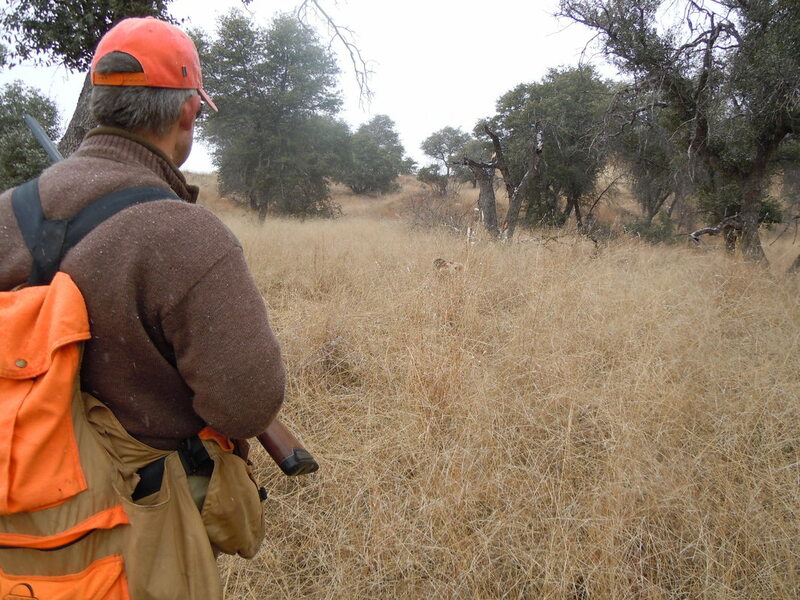 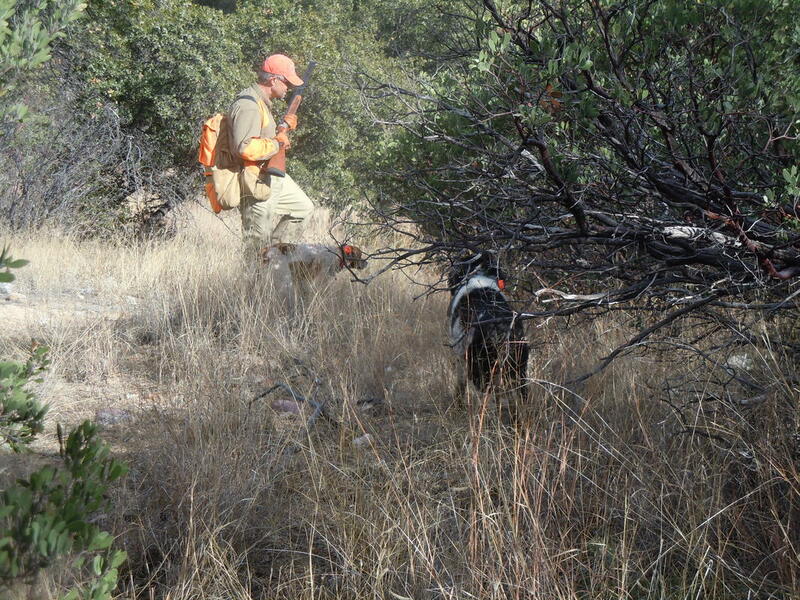 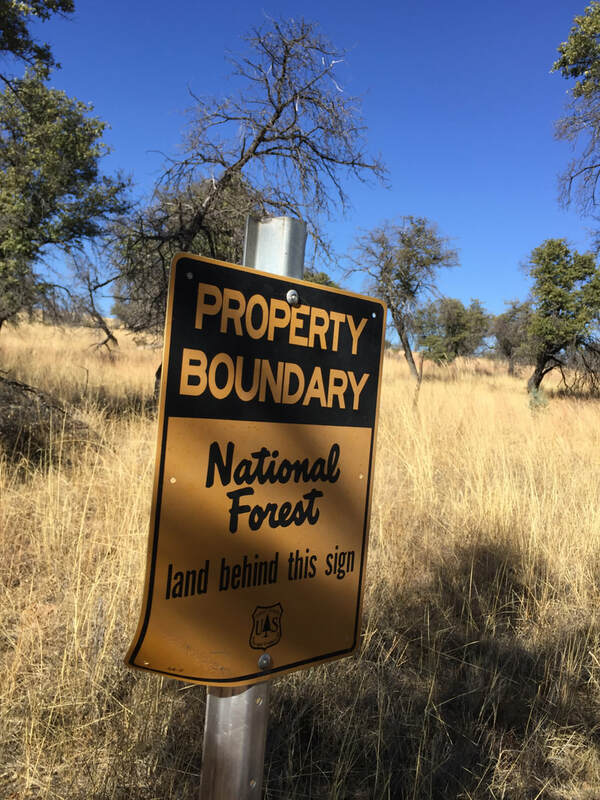 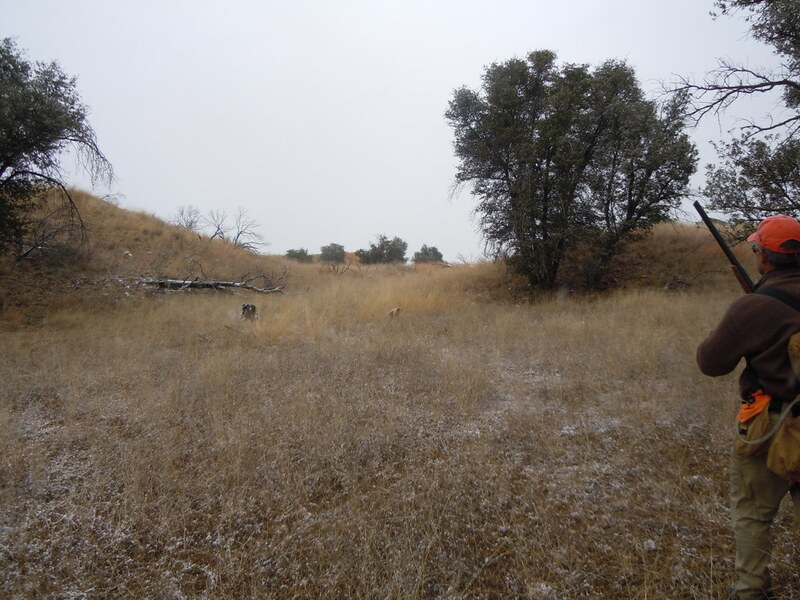 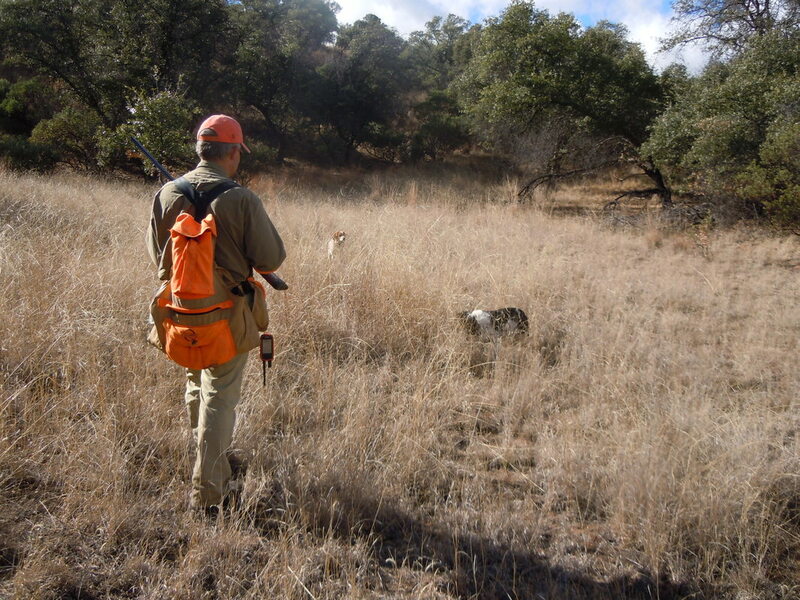 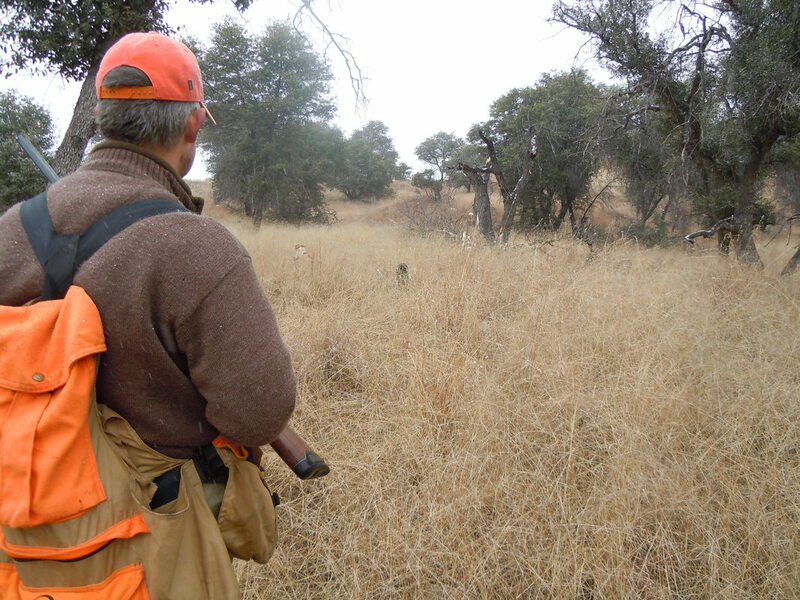 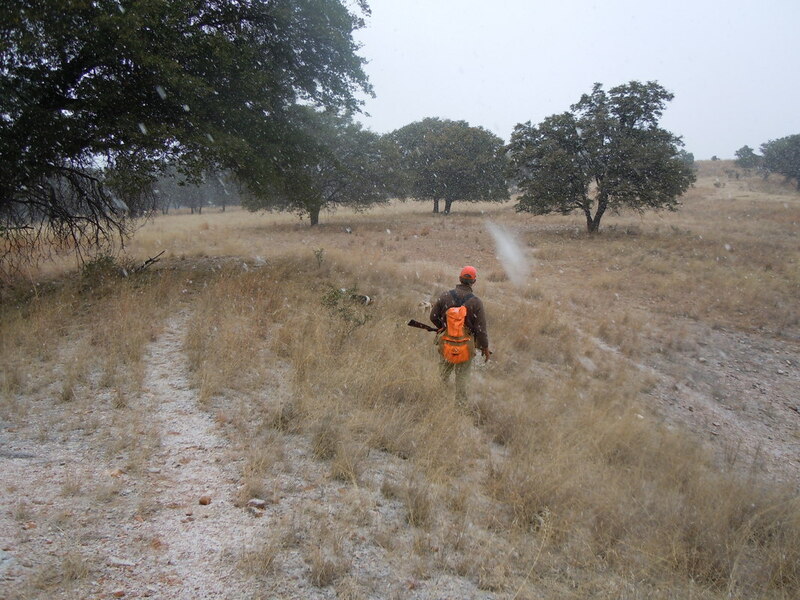 My brother TJ, his son Jackson and me hunting Mearns in southern Arizona. 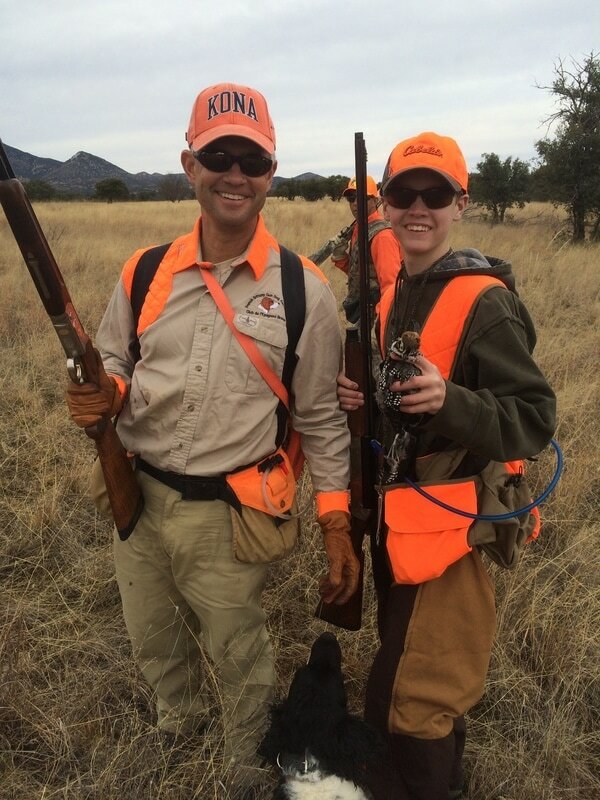 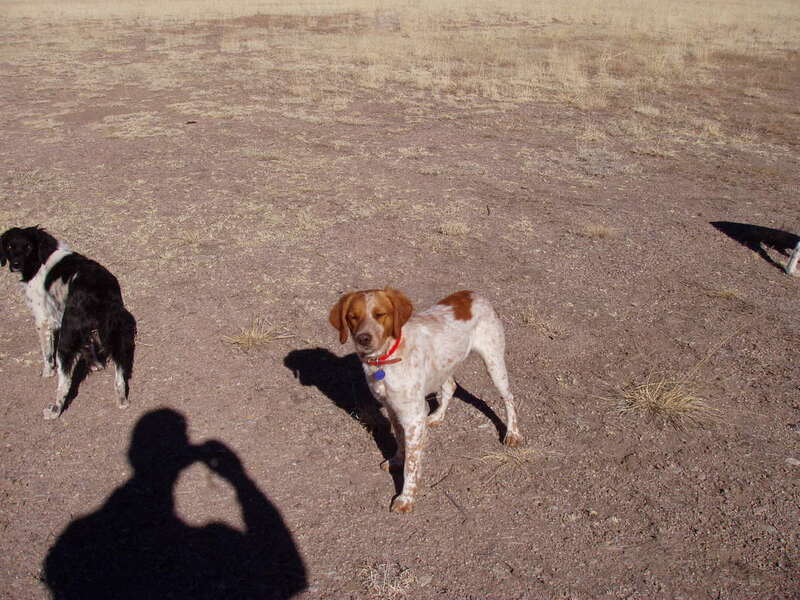 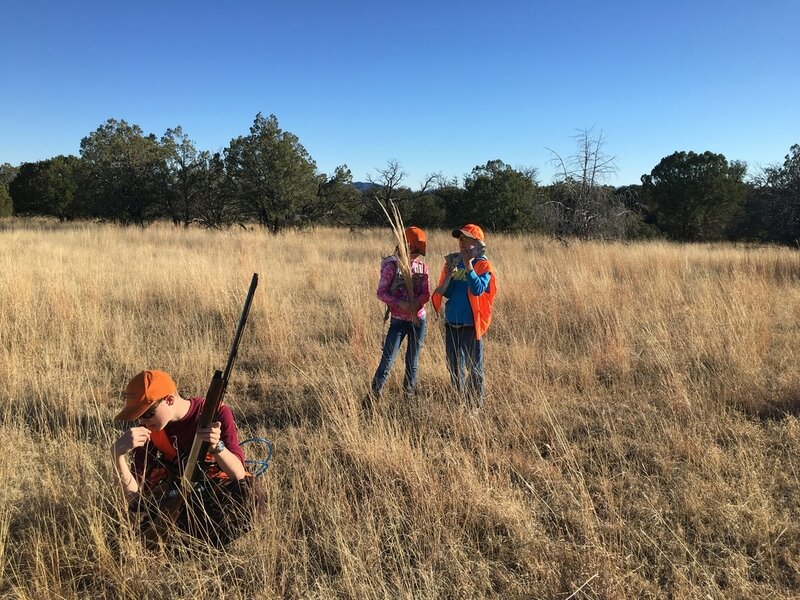 My nephews Jackson and Garret with Erica in between on a family Mearns Quail hunting trip.